Air Pollution problem is so grave that it not only causes diseases but in few cases, it can also cause lead to death. To prevent this situation, we have air purifiers coming to our rescue. They remove the air of all the contaminants and keep the air fresh. We should start using Air purifier in our home especially for people in metro cities. Let’s find out which is the best air purifier for your home and family. 2 Types of Air Purifiers And How They Work? Below we have reviewed top 5 selling models of air purifiers online. Check their features & specifications to get a better idea of what you might like. 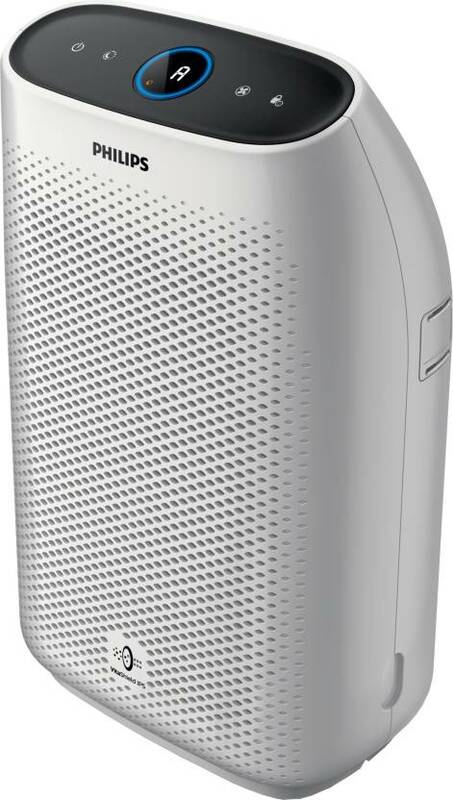 Description: With an advanced double layer active carbon filter, this air purifier removes TVOC (Total Volatile Organic Compounds). It comes equipped with high grade HEPA filter and filter replacement reminder. Description: This air filter comes equipped with multiple features such as 5 Stage Air Filtration system including Pre-filter, True HEPA filter, Activated carbon filter, UV light and Anion generator. Cleans the air from dust, allergies, gases, smoke residue (nicotine), pet dander, bacteria and viruses. Description: Best suited for purifying the air from bacteria/virus, this air purifier is 100% ozone free and covering a room size of 851 sq. feet. 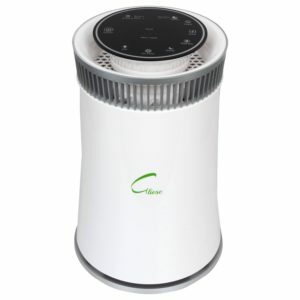 With a CADR (Clean Air Delivery Rate) of 333 m3/hour, this air purifier is the best air purifier in its class. Types of Air Purifiers And How They Work? Before trying to determine the best air purifier, let’s review the various types of air purifiers available in the market. Whole house air purifiers: Best suited for people with severe respiratory medical conditions such as allergy, the whole house air purifiers is the air purifier for home. They cover a larger area when it comes to cleaning. However, they don’t do a thorough job. They are usually installed to the inner workings of cooling or heating system along with power supply and requires a professional to perform the installation. HEPA Filters: HEPA filters are the High-Efficiency Particulate Arrestance. They are popular for their efficiency of removing at least 99.97% of air particles by pulling the air into its mesh. Used alongside most air cleaners and purifiers, they can also be used with vacuum cleaners. Ion and Ozone Generators: Used in occupied rooms, ozone is hazardous to health. Helpful in reducing few allergies from mold, smoke, dust and pollen. Capable of producing over 3 Gms of Ozone per hour, they are effective in removing smoke odor in vacant rooms. Activated Carbon Filters: Used alongside HEPA, or any other filters, they absorb the impurities present in air. Oxygen in the activated carbon filters creates openings to pull gases, vapors as well as odors. Those activated carbon filters that contain chemical chemisorbent can also pull Volatile Organic Compounds (VOCs). Electrostatic Precipitators: With functionality similartos that of ion and Ozone generators, Electrostatic Precipitators remove impurities by collecting them on a metal plate that can be cleaned. Electrostatic Precipitators are equally harmful as Ozone generators as they too generate ozone that is not good for respiratory system. Whole –House Air Filter: Considering the fact that the Whole-House Air Filter does not require installation by professional, they are easy to operate and less expensive. However, they don’t perform a thorough job as that of their counterparts. Anti-bacterial and Germicidal Filters: Anti-bacterial and Germicidal Filters sometimes use UV rays to eliminate germs and bacteria. They can be used alone or alongside HEPA Filters and they can extremely helpful in making the air bacteria and germ free. Charged Media Filters: Known for trapping microscopic particles, functionality wise they are similar to electrostatic precipitators except that they use plates instead of filters. Since they produce Ozone, they are not advised for people with respiratory issues. 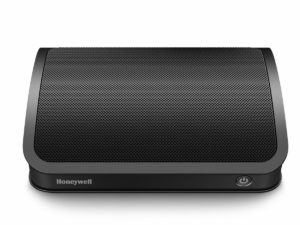 Portable Air purifiers: Weighing less and being less expensive, they are easy to carry and are known to clean only one room. 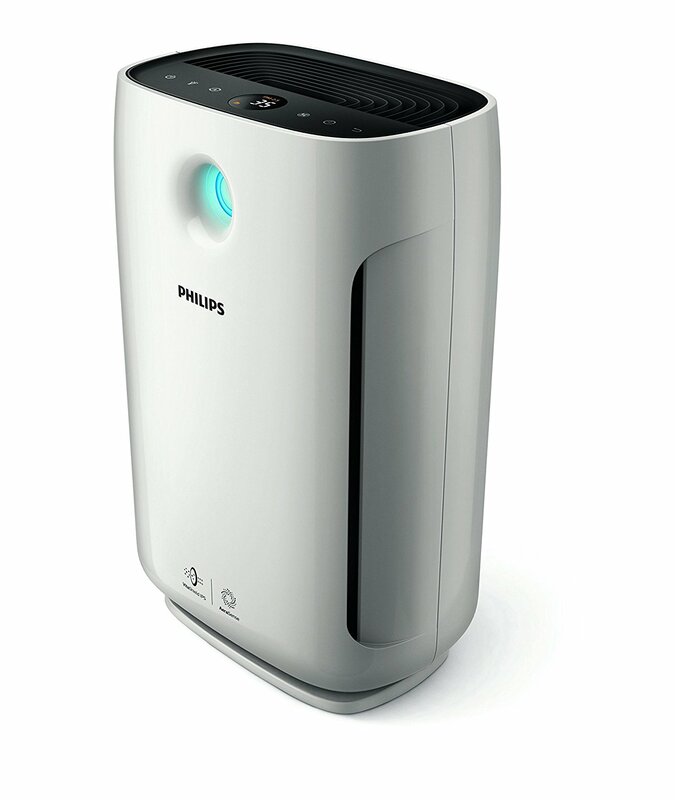 A portable air purifier used alongside HEPA has a probability of removing 99.97% particles from the air. We are digging our graves ourselves but we can stop all these by using less resources per person since there is a huge population in India. If you are purchasing Air Purifier then you should also install a water Purifier in your home. Air purifiers are a great boon to us. Especially, to people who suffer from chronic respiratory issues. Some of the air purifiers come supplied with HEPA filter that clean the air with 99.97% efficiency thus making the air we breathe healthier and safe. Some of the air purifiers are ionic purifiers that can generate harmful ozone gas. Hence, you should be extremely cautious in identifying and purchasing the right air purifier. The air purifiers market is expected to cross $59 billion by 2021. Most of the sales of air purifiers come from patients who suffer from long term respiratory issues such as asthma. 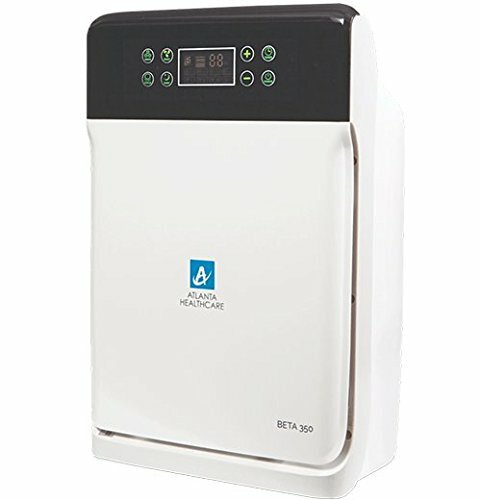 Our air purifier reviews objective is to provide a 3600 information associated with air purifier so that our readers are provided with all round information associated with air purifiers and are capable enough to not only determine the best air purifier in India but also determine and identify the best air purifier for home. The air inside home tends to be more impure than air outside. The air vents inside the house are limited and flow of air from inside the house to the outside is limited. Also, dust from pets, moisture, and pollen add to the existing impurities in the air inside the house and tend to remain for a longer period of time. So, let’s move on to understand the factors that one needs to consider while buying an air purifier. The size of covering area: Various factors influence the size of covering an area of the air purifier. If the pollution level inside the room is high, the capability of purifying the air decreases. Fan speed plays a vital role in purifying the air. The higher the fan speed, the more the area of coverage of air cleaning. Air purifiers that are capable of dispersing negative ions with the help of ionizers that are present in them are more effective in cleaning the air. However, on the downside, they may discharge ozone gas that is harmful to the respiratory tract. Hence, while determining the best air purifier, you have to check the size of area that air purifier is capable of cleaning. For removing dust, pollen and dander etc. : Made out of highly fibrous and highly absorbent material, HEPA filters are highly effective in removing 99.97% of particles from the air. HEPA Filters with germicidal UV lamp are more effective in not only absorbing the particles but also in killing the captured microbes. For removing cigarette smoke pollution: When it comes to purifying the air from cigarette smoking, the air purifier needs to perform three jobs. One is to eliminate the strong cigarette odor from air, the second to remove the smoke particulate and finally to clean the air from chemical vapors. Air purifier with activated carbon filter and ionization is highly effective to perform the job of purifying air from cigarette smoke pollution. Strong odors: Certain chemical compounds such as VOCs (Volatile Organic Compounds) produced by synthetic chemicals and bacteria are the most common cause of strong odors. An air purifier that have activated carbon filter alongside programmable sanitizer or photocatalytic oxidation filter are the best to eliminate strong odors from the air. Budget: The price of air purifiers can vary from Rs.5000 to Rs.60000 upwards. Many factors such as area of coverage, type of filter, sensors present in the air purifier largely impact the cost of the air purifier. Hence, based on your budget, you can either go for the expensive ones or the less expensive ones. Noise: Motor present in the electronic air purifiers, draw the air inside and clean the air. Negative ion and ozone generator air purifiers come supplied with fan and they are less noisy. Some of the brands provide silent mode setting which makes them virtually silent. 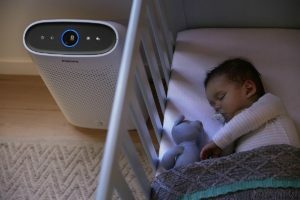 Hence, if you are planning to buy an air purifier for a bedroom then probably, you may have to take the noise factor into consideration. All the above factors play an impactful role in determining the best air purifier. I have done my best in researching the best air purifier for generally all kind of people rest depends upon your requirement like room size & budget which are most important. If there is anything you wanna ask feel free to post comments below and I will try to answer all of them ASAP. 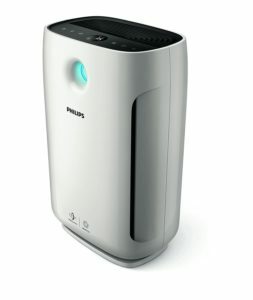 With a high rating of 5 and 100% ozone-free the Philips 2000 Series AeraSense AC2887 Air Purifier (White) is the best air purifier that is available in the Indian market.